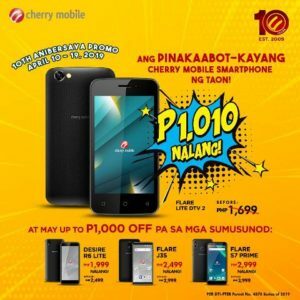 For as low as P1,010, you can have your own smartphone with the “Ang Pinaka Abot-Kayang Cherry Mobile Smartphone Sale”. 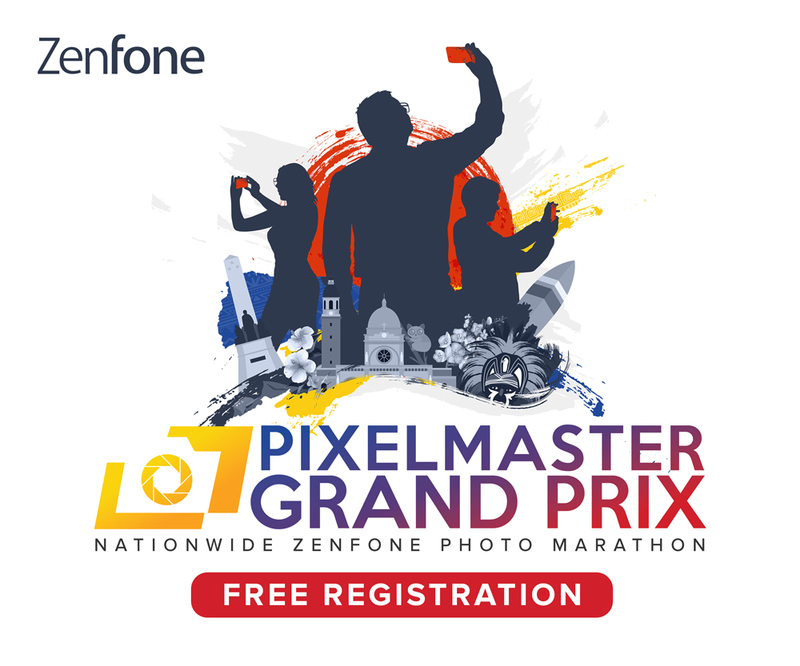 Part of the brand’s Bigaten Surprises and Promos for its 10th anniversary celebrations, this latest offering is available from April 10 to 19, 2019 in all Cherry Mobile concept stores and kiosks nationwide. Customers may choose from the following devices: the Flare Lite DTV 2 (P1,010 sale price); the Desire R6 Lite (P1,999); the Flare J3s (P2,499); and the Flare S7 Prime (P2,999). Visit Cherry Mobile’s Facebook page here to know more.